You can check if an aluminum can is eligible for CRV (California Redemption Value) by looking at the top of the can. There will be a label that says “CA Redemption Value,” “California Cash Refund,” “CA CRV” or “CA Cash Refund.” If it’s eligible, find out how to redeem beverage containers for CRV. Empty and rinse out soda cans before recycling them. Moisture and dirt contaminate recycling, decreasing the quality of the end product and increasing overall costs for the facility. How Much Energy Does Recycling Soda Cans Save? 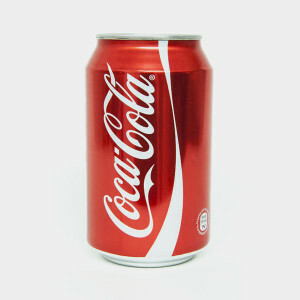 A single new soda can (made with virgin aluminum) uses the same amount of energy as twenty soda cans that are made from recycled material. Also, recycling one soda can saves enough energy to run a television for three hours. How Quickly Are Soda Cans Recycled? It only takes about 60 days for soda cans to make it back onto store shelves after they are recycled.